This is the 2nd track in Dr. Leonard Horowitz's Solfeggio (Healing Frequencies) Eclectica Album and supplements the 396 track for grounding your Root Chakra. Here different music is performed in 417Hz that is close to 396Hz used in the opening track. To Purchase Dr. Leonard Horowitz's The Root of Grounding - First Chakra Therapy I - Solfeggio Frequency 396Hz which supplements this track Click Here. To purchase Dr. Leonard Horowitz's full Solfeggio (Healing Frequencies) Eclectica Album CLICK HERE. To purchase Dr. Leonard Horowitz's full Solfeggio Eclectica Album CLICK HERE. To purchase the supplemental Solfeggio Eclectica Music Video Therapy Program, CLICK HERE. This first “grounding” “root chakra” therapy track helps the energy flow through your spine. This grounding helps to alkalize your system. because energy is comprised of negatively charged electrons. The "hydro-sonic flow" through your body recharges your natural energy like a lightening-bolt grounds the energy in the charged-air restoring balance to the system. "Grounding" is important in both cases. Thus, Dr. Horowitz offers these two root chakra grounding tracks, Therapy I and Therapy II. To know whether you should buy this album, answer the following questions: "Are you a spiritual-being first, before you are a physical-being?" "Are you affected by sound?" "Does stress and certain music distress you while other music pleases you? Does peace and harmony restore your energy? Does music, or the "good vibrations" of nature, affect your soul? And would you like to quickly uplift your mood, health, happiness, and stay in "The 'Zone'" of total well-being? If you answered, "Yes!" to these questions, then you must purchase this product! What's in the Solfeggio Eclectica album? There are 11 original musical compositions that feature the original Solfeggio frequencies and more. This long-playing album includes delightful tracks made with myriad instruments and orchestral arrangements featuring the six (6) of nine (9) “core creative frequencies” fundamental to nature, sustainability, and natural healing. You can listen to samples of these tracks by viewing the corresponding video trailer, HERE. These therapeutic tracks include the complete set of Solfeggio frequencies, including 396, 417, 528, 639, 741, and 852 Hertz. These frequencies of sound are used in this program to elevate your “consciousness,” evolve you spiritually, and enhance your self-healing capability. Three additional frequencies complete the “Perfect Circle of SoundTM.” These include 963, 174 and 285 Hertz frequencies. These frequencies derive from Dr. Horowitz research. You can use these frequencies, and music made in these keys, to kick addictive medicines, save money and maybe your life. Each of the eleven (11) music tracks run between eight and thirteen minutes. The full album runs more than one-and-a-half hours. Seven (7) of these audio tracks are composed, performed, and recorded in the six original Solfeggio frequencies. The fourth track is a binaural recording featuring two harmonic Solfeggio pure tones, 396Hz and 528Hz. 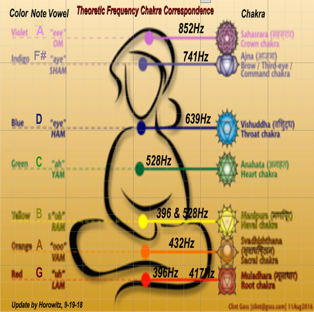 The third track (“sacral chakra” or “sexual chakra”) uses the 432Hz frequency that research indicates is best for balancing your second energy center as shown in the chart below. The Solfeggio (Healing Frequencies) Eclectica album is sold separately from, or in a special package with, a corresponding set of music videos that uses the same music, but with added positive affirmations, prayers, and transfixing "color therapy" to match each of the seven (7) chakras. This is a POWERFUL PROGRAM. These musical compositions were created & composed by the "Maestro of 528Hz" Dr, Horowitz, who pioneered the modern use of the Solfeggio Frequencies for healing with the publication of Healing Codes for the Biological Apocalypse in 1998. In summary, based on the science of "energy medicine," the Solfeggio Eclectica album can be used as an alternative therapy to kick costly and risky drug addictions. This monumental album contains 11 tracks performed in each of the six (6) Solfeggio frequencies, or in combinations thereof that researchers recommend for each of the different bioenergy-centers for balancing the seven (7) chakras. This therapeutic set matches the music to each energy vortex. The Solfeggio frequencies are supplemented here by the 432Hz frequency that Dr. Horowitz recommends for the second (sacral) chakra, plus three more "Perfect Circle of Sound" frequencies discovered by Dr. Horowitz as an integral part of sacred geometry and universal design, physical repair, and natural maintenance. "This album is excellent for people seeking natural healing and is great for use with other natural therapies." - JT Kong, medical researcher. This album is a "must use" for health "conscious" consumers, natural healers, and alternative medicine practitioners to enhance benefits of standard care. Another great thing about this product, and service that it provides, is, it can only do good. No harm at all can come from listening to this music. If you are really smart, and can afford it, you'll also buy the supplemental music video therapy program and follow the instructions. The videos will have you positively affirming what you want in life, praying for and manifesting good things. It works so well you will be sharing this outstanding program with others. These musical compositions were created & composed by the "Maestro of 528Hz" Dr, Horowitz, who pioneered the modern use of the Solfeggio Frequencies for healing with the publication of "Healing Codes for the Biological Apocalypse" in 1998. Dr. Leonard G. Horowitz has been christened a "polymath" by his peers. He has also been called the "King David of Natural Healing," and the "Maestro of 528Hz" by fans worldwide. He is a leading pioneer in the natural healing arts and sciences. Throughout Dr. Horowitz’s 40-year career, he has been a dedicated consumer health educator and positive lifestyle motivator. He believes that people can take better care of themselves, overcome self-destructive habits, and save money while reducing suffering through simple self-care. During the 1970s and 80s, Dr. Horowitz worked as general dentist, oral surgeon, anatomy instructor at Tufts University, a research associate at Harvard University, and a holistic health clinic director in the Boston area specializing in head and neck pain relief. His was the first "holistic medical center" in America to be written up by the Associated Press. His works in behavioral medicine and consumer health awareness were featured on every major television network. Among his twenty-two published books, and three American best-sellers, Dr. Horowitz authored Healing Celebrations: Miraculous Recoveries Through Ancient Scriptures, Natural Medicine, and Modern Science. Healing Celebrations advances a natural healing protocol now used by tens-of- thousands of health professionals worldwide. And his videos addressing controversies in medicine have been applauded by tens-of-millions of viewers globally. In 2009, Dr. Horowitz produced "LIVE H2O--The Concert for the Living Water" featuring speakers from around the world. The famous Japanese researcher, Dr. Masaru Emoto, joined Dr. Horowitz in California for special events performed in the 528Hz frequency of "pure tone LOVE"-- the "Universal Healer." Groups from nearly 80 nations participated on the Summer Solstice in tuning voices and instruments to the 528Hz frequency to supplement prayers to restore earth's waters to their naturally-pure state. With his partner, Sherri Kane, in 2010 Dr. Horowitz launched 528Records.com and the "528 Radio Network." Here you can listen for free to a dozen stations broadcasting music in the healing frequency at the heart of the Solfeggio, 528Hz. This product is not to be misconstrued as helping to diagnose or treat any medical illness. The reason being, we don't believe in the "practice of medicine" that is based on false doctrines in health science and the monopolization of healthcare by Big Pharma. That corporate-controlled racket has neglected the bio-energetic and bio-spiritual forces and factors more powerful than bio-chemistry and molecular biology, in our opinion. The global enterprise has neglected the impact of sound and light signaling on electro-genetics. "Modern medicine" neglects the poisoning of natural systems by drugs causing toxic, albeit profitable, side-effects. We don't even believe in the "labeling" of diseases that impacts patients' attitudes, states of mind, points of view, behaviors, and outcomes of therapeutic relationship. Alternatively, we view ill health as a "process" by which the natural sytem seeks homestasis, balance, and return to natural/normal functions. 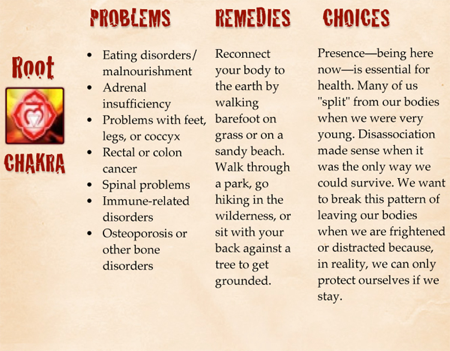 This "process" of healing involves the restoration of free energy movements in your body. (1) Tyrell claimed to have "discovered" Dr. Horowitz's discoveries; yet Tyrell provided no substantive basis for his claims that his discoveries pre-dated Dr. Horowitz 1998 publication of the Healing Codes for the Biological Apocalypse book. (2) Tyrell claims that he was "granted" the "King David 528" revelations. This is a reprehensible claim in light of Tyrell purporting to be a researcher beginning his enterprise in 2010. Dr. Horowitz published extensively the King David 528Hz connection beginning in 1998, and heavily heralded this "key of the house of David" in 2008, two years before Tyrell started his enterprise. (3) Mr. Tyrell and his unscrupulous publisher, Barton Publishing, who has a horrible reputation on the Internet for ripping people off, made no apology or correction what-so-ever when Dr. Horowitz demanded corrections and proper attribution. (4) Lacking integrity and advanced “consciousness,” Mr. Tyrell called Dr. Horowitz panicked by a State of Florida indictment opposing Tyrell’s and Barton Publishing's consumer fraud and false claims being made. Tyrell requested the doctor's advice, falsely inferring that Tyrell got his medical claims from Dr. Horowitz's work. Dr. Horowitz scolded Tyrell, told him to do proper research before making foolish medical claims, and suggested he plead guilty, because he was guilty in making false claims. Accordingly, this store apologizes for having been fooled by Mr. Tyrell. After learning the truth, we cancelled our Wholetones distribution agreement. Click the button below to add the First Chakra Audio Therapy II- Solfeggio Frequency 417Hz (Mp3 Format) to your wish list.